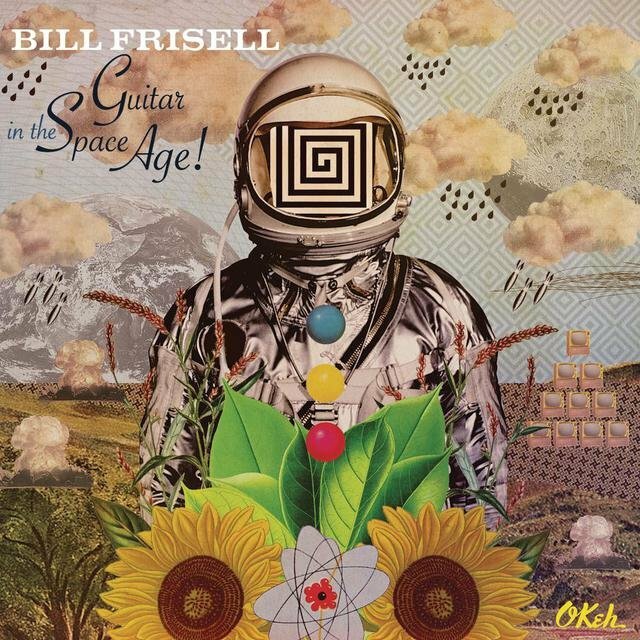 On Guitar in the Space Age!, the eclectic and prolific Bill Frisell – perhaps the preeminent jazz guitarist of his time – has produced a record of shimmering brilliance and undeniable nostalgia. In one of his most personal works to date, the guitar virtuoso revisits the the popular music that defined his childhood – notably the surf rock and garage rock of the 1950s and ‘60s – dancing with its echoes. The post-war era is well understood as one of the most dynamic periods in modern American history. As Frisell likes to note, he was born in 1951 – the same year as the Fender Telecaster. It was the commercial distribution of that model – along with the Stratocaster (1954) and the Gibson Les Paul (1952) – that helped precipitate the popularization of the electric guitar and usher in the first golden age of an instrument that remains the most ubiquitous music-maker of today. Equally renowned for his aptitude as a composer and an interpreter, Guitar in the Space Age! finds Frisell covering classic and foundational tracks that defined an era defined by guitar. The Beach Boy’s “Surfer Girl” and opener “Pipeline” by The Chantay hold a finger to the vain of surf rock’s free spirited vibe. Versions of Junior Wells “Messin’ With the Kid” and Mere Travis’ “Cannonball Rag” give justice to the parallel revolutions occurring within blues and country at the time. The most sentimentally provocative songs must be Frisell’s redefining takes on The Kink’s “Tired of Waiting for You” and The Byrds’ popular rendition of Pete Seeger’s “Turn! Turn! Turn!”. He adds two Frisell originals – “Shortest Day” and “Lift Off” – which demonstrate his ability to embody and reproduce the sound he’s venerating with total command. 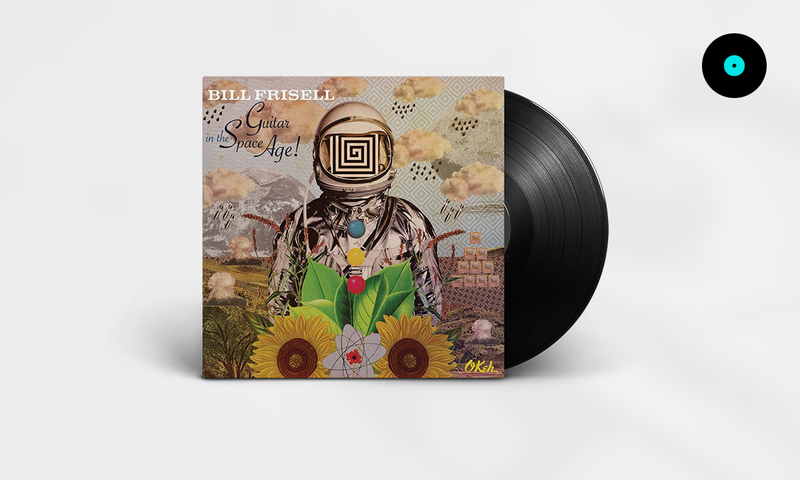 After 50 years behind the guitar, Bill Frisell has returned to the source of what originally inspired his interest in music, which retrospectively also marked a critical turning point in history, culture and music. Not to be mistaken as a simple tribute or cover record, this work represents a modern master reapproaching the roots of his own musical heritage, and exploring its innerworkings with half a century of hindsight and insight up his sleeve. The record was selected as TIDAL’s HiFi Album of the Month, in no small part because it is a supremely crafted work of sound. Guitar in the Space Age! is an album of incalculable detail and bottomless sonic depth. As such, it can only be justly heard in high definition. Proving that a stellar-sounding record doesn’t require post-edit trickery, the album was essentially recorded live in the studio. Due credit should be paid for the dexterous care of Frisell’s longtime producer, Lee Townsend, and the vital accompaniment of what he calls “one of the best bands I’ve ever had,” which includes Greg Leisz (pedal steel & electric guitar), Tony Scherr (bass & acoustic guitar), Kenny Wolleson (drums & vibraphone). Enjoy this stunning album in lossless quality on TIDAL, and look forward to our forthcoming interview with the insightful artist himself.